Property is Nice and Convenientsubmitted by Ezra S. - Nov 26, 2018 |Recommended: YesThe overall area is perfect, the apartments are nice and homey. Quiet llivingsubmitted by Catherine S. - Oct 12, 2018 |Recommended: YesIts a nice quiet place to live. 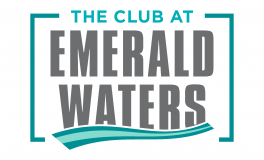 Emerald Appartmentssubmitted by Zachary R. - Oct 06, 2018 |Recommended: YesExcellent staff and professionalism. Decent apartments for the price and location. Be sure to be mindful of nearby animals and wildlife. Amazingsubmitted by Jimmie H. - Aug 30, 2018 |Recommended: YesNice and quiet. .submitted by Victor S. - Apr 29, 2018 |Recommended: No. Exceptional submitted by Wilmer H. - Apr 02, 2018 |Recommended: YesI made a good decision moving into this community. My apartment is spacious with a lovely balcony over looking the lake and palm trees. Natalie has made this transition for me easy to bare with her attentiveness in answering all my questions to the best of her knowledge. The recent changes make this place more upscale and invitingsubmitted by Karl C. - Feb 20, 2018 |Recommended: YesMy first experience was awesome thanks to Natalie, she was very inviting and made the experience hassle free and enjoyable. Fantasticsubmitted by Shirley W. - Jan 31, 2018 |Recommended: YesIt is a great place to live, very clean and secure, staff is great and they really listen to the things you have to say. Wonderful grounds for kids to play and the renovated pool area is really nice plus the opening of the gym. There is no other place in the area that has the trails to be able to walk your pets or the kids to ride their bikes without having to worry about cars and traffic.